Recently, the UK Foreign Office accused the Russian military intelligence service of plotting cyberattacks against Britain and vowed to "expose and respond" to these alleged actions, while Moscow has denied the claims, urging London to present evidence on the matter. 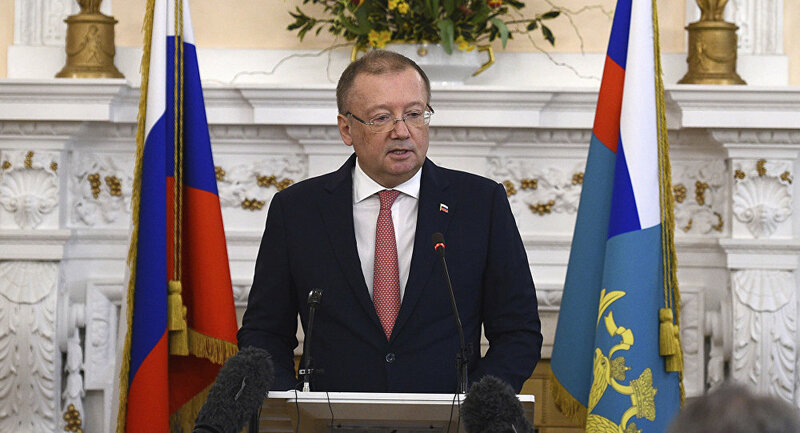 Addressing bilateral relations between London and Moscow, Russian Ambassador to the United Kingdom Alexander Yakovenko has stressed that governmental contacts between the two countries are currently "frozen," adding that the British government was conducting an aggressive anti-Russia campaign. When asked if Moscow accepted the British accusations that the alleged poisoning attack on Sergei and Yulia Skripal was "attempted murder" by Russian military intelligence agents, he said no, citing three reasons why. The first reason, he said, was that Moscow has never seen the evidence; the second reason — the investigation was not transparent. And the third reason, Yakovenko stressed, is that Russia doesn't have access to any documents related to the investigation; the British government refused to accept Moscow's assistance in the legal sphere. "Once Russia was blamed publicly on behalf of the country…you have to present the evidence publicly. […] Otherwise, we make a conclusion that everything was staged," he said, adding that the British government was violating international law. Responding to another question whether Moscow had investigated the purported suspects in the Skripal case, Alexander Petrov and Ruslan Boshirov, whom the UK claimed were GRU operatives, Yakovenko said that there was no "official application" from the UK government to probe them and that Moscow had an official statement from those men, who, he added, hadn't violated Russian law. Dwelling on the claims by UK-based investigative blogger group Bellingcat, which presented a report, alleging that Russian military doctor Alexander Mishkin was the true identity of Skripal poisoning suspect Alexander Petrov, Yakovenko stressed that the source was working for the "deep establishment," and had nothing to do with the media. Yakovenko flatly rejected the allegations from the UK, the Netherlands and the US that Russia had hacked a number of international organizations across the globe as an "anti-Russia campaign." "Of course I deny it because this is part of a general campaign launched in Britain and supported by the United States… to discredit my country," he said. Follow Sputnik feed to find out more. Relations between Moscow and London began to deteriorate in March, when the United Kingdom claimed that Russia had organized the poisoning of former Russian intelligence officer Sergei Skripal and his daughter Yulia in Salisbury. Moscow has denied the allegations, stressing that London has not provided evidence to substantiate its claims. Last week, the British government alleged that the GRU was behind a series of cyberattacks on political institutions, media and infrastructure across the globe, including the UK. Moscow dismissed the accusations as a crude disinformation campaign, adding that London's claims lacked proof.